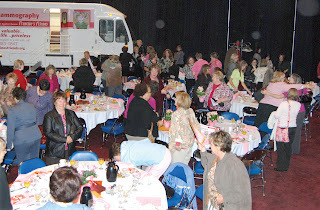 Over 500 "friends" gathered at the Memorial Coliseum on Friday, October 9, 2009 to enjoy a "Morning with Friends", raising over $110,000 to help cover the cost of mammograms on the Francine's Friends mobile mammography coach. 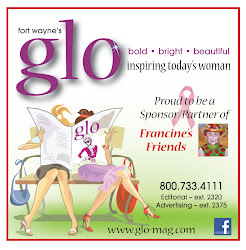 City of Fort Wayne Mayor Tom Henry was on hand to proclaim October 9th as "Francine's Friends Day" and Indiana's NewsCenter's Linda Jackson returned to MC the morning. Sponsors for this year's event included: Presenting sponsor—PHP Foundation; Breakfast sponsors—Radiation Oncology Associates, Very Bradley, Indiana Surgical Specialists, Women's Health Advantage, Emley Design Group, OmniSource, Fort Wayne Medical Oncology and Hematology, Susan's, Cindy Friend Lifestyle Studios, Barbara's New Beginnings, and Punch Films. Corporate Table Sponsors included: BakersDaniels, Barrett & McNagny, Breast Diagnostic Center/FW Radiology, Haines, Isenbarger, & Skiba, Holley Management, National City Bank, Parkview Foundation, and Tower Bank. 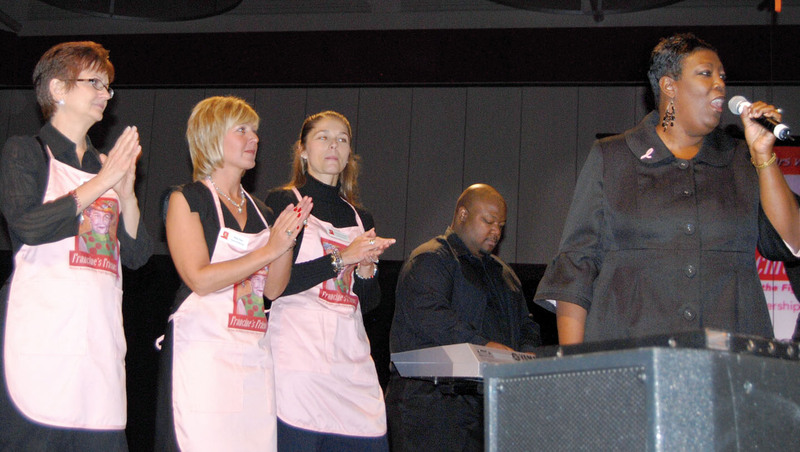 Susan Johnson, owner of Susan's of Covington Plaza, and Dr. Sreenivasa R. Nattam, Fort Wayne Medical Oncology and Hematology, introduced our three special breast cancer survivors and narrated their makeover experience. 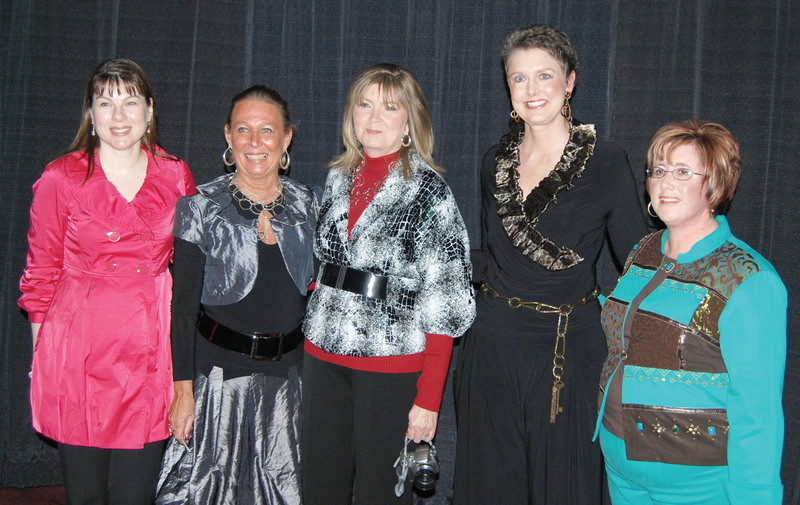 In addition to Susan's, sponsors of the makeovers included LSpa Modern, Cunningham Optical One North, Merle Norman Cosmetics, Barbara's New Beginnings, and two anonymous donors who provided underwriting for the outfits the survivor models wore. New "friends" and singers Tamyra Kelly and Angela Harris closed the morning by asking Francine's Friends board members and the audience to stand up and sing "Lean On Me" — providing an emotionally charged ending to a very uplifting morning. Francine's Friends, in partnership with Parkview Comprehensive Cancer Center and Breast Diagnostic Center, wishes to thank all who participated in helping to make this 5th-anniversary year and "5 Days with Friends" so special and successful. We value all of our FRIENDS!